an ability to demonstrate mathematics, discrete structures, science fundamentals along with computer engineering principles in real time computer software and hardware problems. an ability to identify, formulates, and review literature's to analyze and solve complex computer engineering problems. an ability to design, implement, and evaluate a computer-based system, component, process or program to meet desired needs within realistic constraints such as economic, environmental, social, political, ethical, health and safety, manufacturability and sustainability..
an ability to organize, analyze and interpret data in order to design and conduct experiments. an ability to use the techniques, skills and modern hardware and software tools necessary for computer engineering practices. the broad education necessary to understand the impact of computing in global, economic, environmental and societal context. an ability to understand contemporary issues related to social and environmental context for sustainable development of engineering solutions. 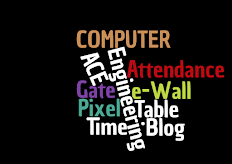 an ability to understand professional, legal and ethical responsibilities as it pertains to computer engineering. an ability to function effectively as an individual, as a member or leader in diverse and multidisciplinary domains. an ability to effectively communicate technical information in speech, presentation and in writing. an ability to apply engineering principles and management skills in individual work and team work for project development in multidisciplinary domains. a recognition of the need for an ability to engage in lifelong learning.